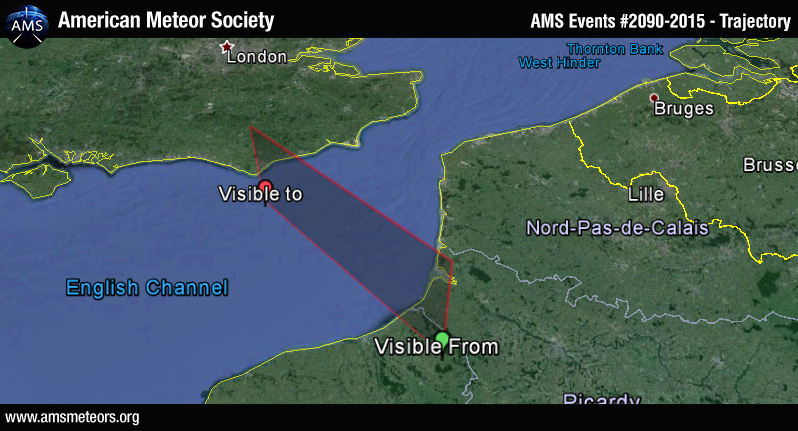 The American Meteor Society and the International Meteor Association received over 50 reports so far about a fireball event over the English Channel on August 30th 2015 around 19:30UT. 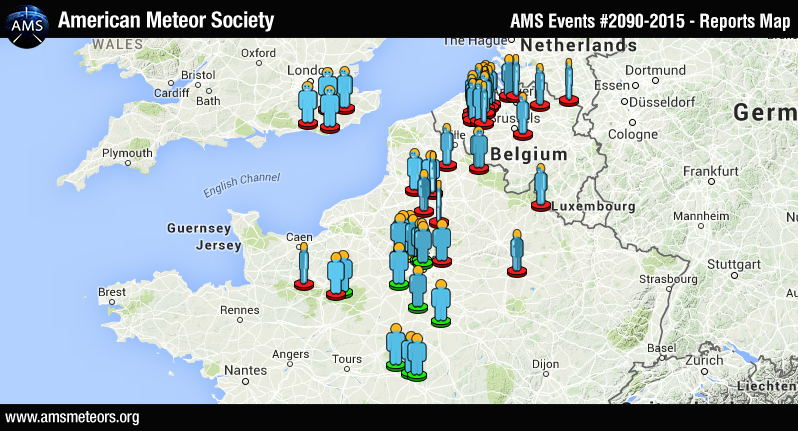 Observers from as far center of France reported seeing a bright light in the sky. 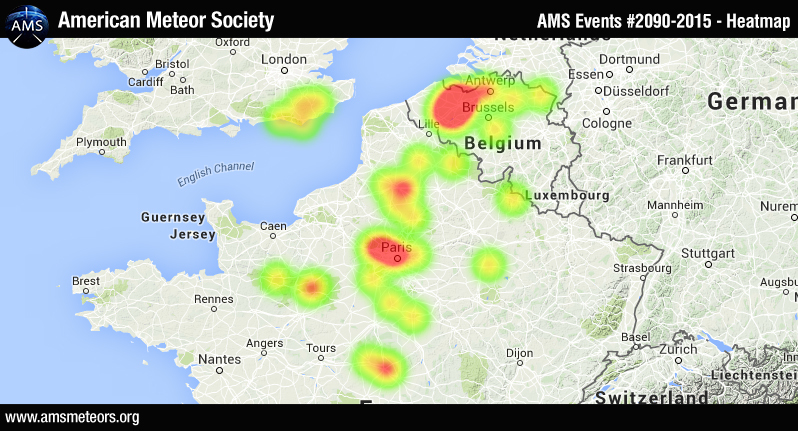 Below is a heat map of the witness reports. The preliminary estimated trajectory plotted from the witness reports shows the meteor was traveling from the south east to the north west and ended its (visible) flight few miles sougth of Brighton, UK.